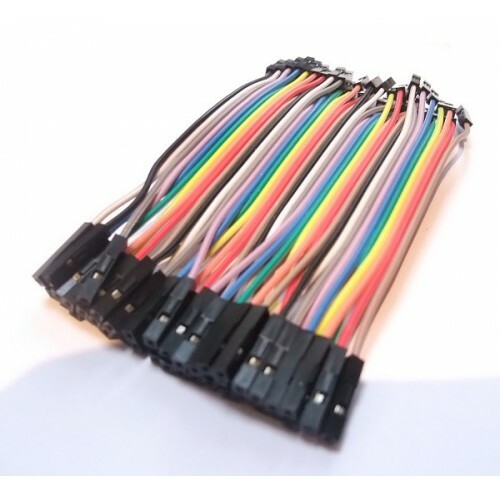 These are 10cm long jumper wires terminated at each end with female connectors. Use these as jumpers from any male header on any board. 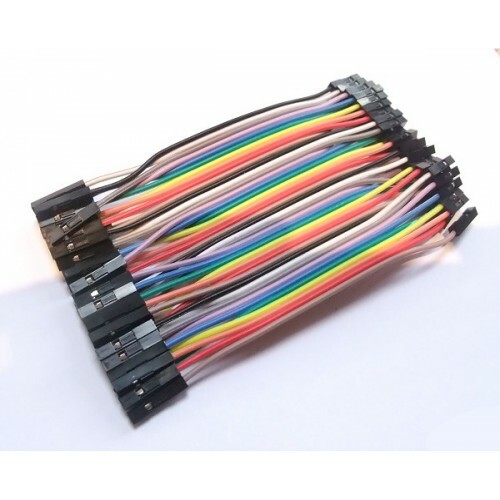 Multiple jumpers can be connected next to one another on a 0.1" header. Comes in one pack of 40 jumpers (colors shown). Each group of jumpers are connected to each other and can either be pulled apart in any quantity (from 1-40, of course) or kept whole based on you needs.